For recruiters who want to help employers find new talent and ideas, perhaps they can find the answer in the following post. On this week’s Women of Washington radio show, Anne Altman, head of IBM Federal, joins hosts Gigi Schumm and Aileen Black to discuss how successful companies bring new talent into their organizations. Will Decrease of Young Federal Workers Lead to Loss of Jobs for College Graduates? College graduates interested in federal government jobs might have a challenge getting hired with a decrease of young workers. Learn more in the following post. The lack of 30-and-under talent in the federal workforce means agencies will be facing significant shortfalls in the future, says Jeff Neal, former chief human capital officer at the Department of Homeland Security. If you are under the age of 30 and looking for an entry level job in the federal government, chances are employers want you. Learn more in the following post. Road sign with first job on an arrow. Photo courtesy of Shutterstock. Summary: Get the most out of your first professional job by staying in the present, giving your very best effort, and recognizing when it’s time to move on. As a student or young professional working on an entry level job, there are certain things you may not have learned in the classroom concerning your career. In the following post, learn what they are, as well as get some career advice. To boost your chances of landing an entry level job or an internship in 2014, learn the top 10 skills that are interesting to employers in the following post. Congratulations on landing interviews for recent college graduate jobs! If you’re not sure what to do next, the following post explains. Young professionals with recent graduate jobs who want to better their careers can find five ways to do so in the following post. Are You Having a Hard Time Finding an Entry Level Job? If you are having a hard time finding an entry level job, you’re not alone. 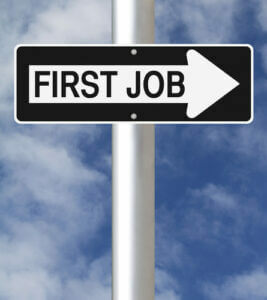 The following post shares the experience of one job seeker’s search for employment.